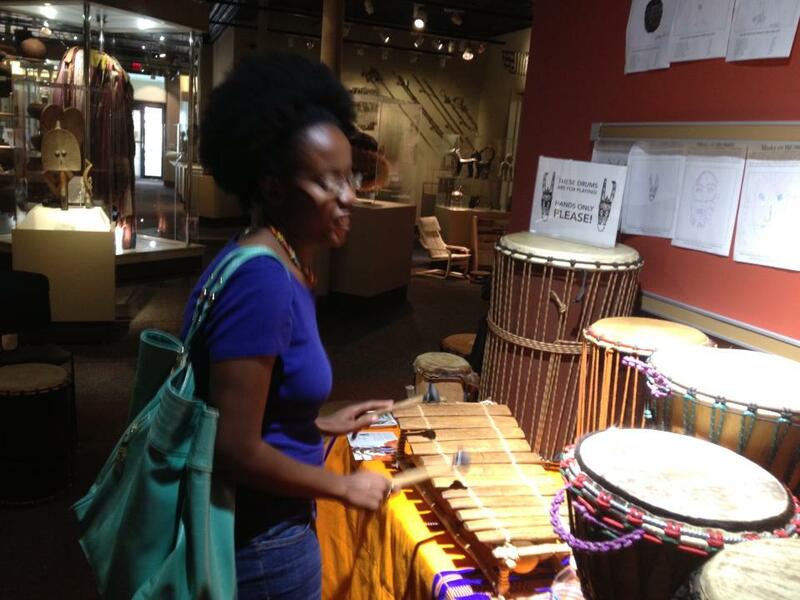 August | 2015 | And I am an afrotasticlady! Happy First Blogoversary to Me, to Me, to Me! Happy First Blogoversary to me, to me, to me! On August 27th, 2014, I wrote my first blog post called “Who I Am,” and I decided to keep blogging until August 27th 2015. My little blog became my baby, and I have been sticking with her for a year now! Yasss! When I began this blog, I was in transition. I was preparing for my first year of graduate school, and I had many feelings that I was grappling with. I was excited about starting school again, as I had waited five years to make my return. But I was also nervous, because it was graduate school. Graduate school felt like this big monster that I was not sure I could overcome. A year later, I am in transition again. I am transitioning out of a job, where I have loved supporting teenage parents and their babies, and I am going to start my second year of graduate school in September. Now, before y’all do your happy dances, I am in a three year program. I am not near graduation yet, but I am slowly moving through this program. With God’s help and support from family and friends, I overcame my first year of graduate school. My vlog post #ISurvivedMyFirstYear talks about the obstacles and triumphs of my first year of school. Check it out if you have not watched it yet. Authentic love ain’t no cakewalk y’all. In each blog post, I hope that you have seen the struggle of living a life of love and living on this Earth. In my “About Me” page, I call love “a worthy sacrifice.” And no, I do not always want to make the sacrifice, but I have to push myself to do so. When I speak about struggle, I speak about the decision to love when hatred surrounds me, and when unforgiveness tries to beat my soul up. There is also the struggle of dealing with a grief stricken heart, but still choosing to love God and others. With this blog, I have felt the struggle of wanting to hide my posts in a corner and only wanting a few folks to see it. It is the fear of being found out, and of being celebrated! I am not always good at being in the limelight, but I am grateful for my first readers who read my blog and made comments. Y’all encouraged me to continue writing and putting my thoughts out in the blogosphere. I am thankful to my family members, especially my aunts and cousins on both sides of the family. In the beginning, I contacted some of you and told you to read my blog. And you read it! Many of you have told me that I am a great writer, and I appreciate that you believe in the gift that God has given me. My blog has a small following, but I am excited about each person who reads it. 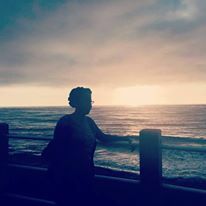 It is quite fabulous to me when a person interrupts the tasks on his/her check list to read my reflections on faith, natural hair, singleness, or grief. Y’all do not have to read, but you choose to do so. Y’all make this afrotasticlady’s heart do somersaults. Again, thanks y’all! And please stay on this journey with me as I work towards loving God, embracing love, and being afrotastic! My cartoon self. 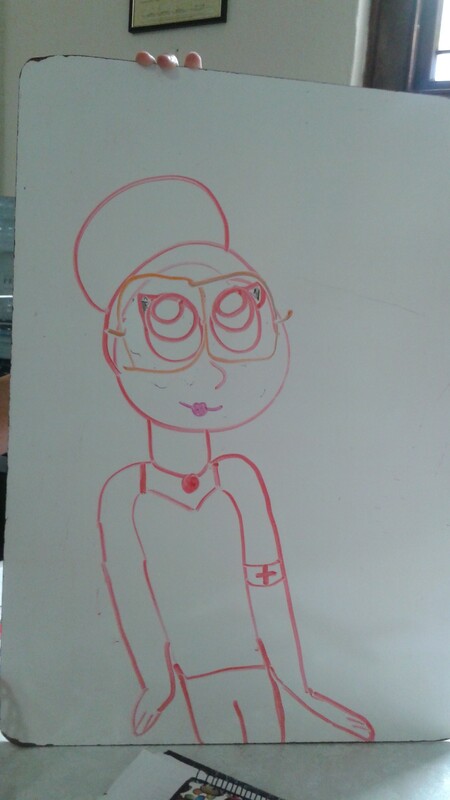 This picture was made by one of my Sunday School students. It’s OK to Be Black and Quirky! When I was little, I used to love watching shows like Punky Brewster, Clarissa Explains It All, and The Secret World of Alex Mack. The protagonists were funky yet cool, unique, and independent. Punky Brewster showed me that I could wear colorful, mismatched clothes. Clarissa talked to her viewers in each episode, and her male best friend would unexpectedly climb into her room from a ladder. And Miss Alex Mack could transform from a teenage girl into a puddle of water. I was a quiet and imaginative little girl who fell into the worlds of these protagonists. Each of them had their “geeky” interests, but they also told it like it is. They were not trying to conform to the expectations of others. Each of them was a quirky woman, but none of them were Black. As I grew older, I found out that there was a quirky young actress named Zooey Deschanel. She wore bangs and vintage inspired dresses with flats. She did not only act in movies such as Elf and 500 Days of Summer, but she sang in a duo called She & Him. When I watched Zooey Deschanel in her films, I begun to realize that I was quirky too. I was excited to know that I had my own style and that I could not be put in a box. But I was Black. Could I be both Black and quirky? Even though, my parents gave me books about Black historical figures and talked to me about what racism looked like, I still had this image of what Black really was. And even though, I had performed bold poetry in Black History shows in high school, I still struggled with how Black I really was. It was a strange struggle, because I had this passion for Black culture and history, but I had moments where the media or another person questioned my Blackness. In the media, Blackness = you’re bad; you’re ugly; you’re ghetto. And even from some Black folks, I had this feeling that I did not measure up, because I did not have enough “street” in me. Now, I know that such thoughts are a product of internalized racism. The media constantly loves to tell Black folks who they really are, and these perceptions are unconsciously breathed in. Then, we learn to look at ourselves and each other in harmful ways. I have realized that Blackness has variations. Each Black person lives and expresses his or her Blackness in a different way. 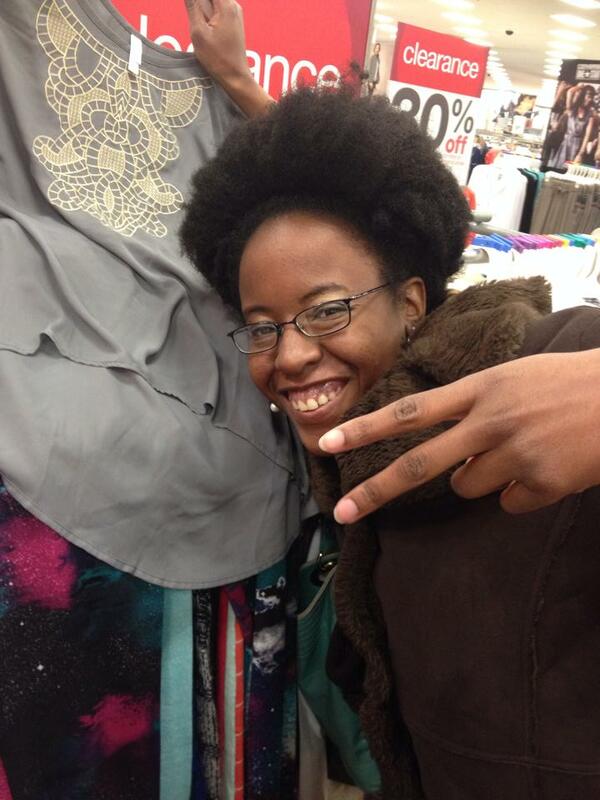 I am Black and quirky, and it’s OK! I am OK with being the Black woman who wears polka dots and bright colors. The Black woman who is somewhat clumsy and thinks for a while before she speaks. And I am OK with being the Black woman who listens to Sam Cooke, Coldplay, Hillsong United, and Tye Tribbett, because music sounds too good to stick with one genre. And I am even OK with being the Black woman with the big afro and boho headwrap who holds a cup of Starbucks iced coffee in her hand. Some call it hipster, but I call it quirky. Fortunately, I have a lot of quirky Black role models. I have a crew of quirky Black female friends who sing, write, and love to encourage others. I can talk to these women about my faith in God and my Black identity. I can have my “geek” moments where I ramble about the Civil Rights Movement, and they actually listen. Well, maybe.. they listen. 🙂 I can also explain my thoughts about the current treatment of Black folks today. Along with my crew of Black female friends, I also admire several Black celebrities who embrace their individuality: Solange, Janelle Monae, Cree Summer, Tracee Ellis Ross, Zoe Kravitz, Erykah Badu, Jill Scott, India Arie, Nicole C. Mullen, Teyonah Parris, Jada Pinkett-Smith, and Viola Davis. No, I don’t know these beautiful women personally, but I feel that they are all Black and quirky. Their moments in television or music have demonstrated to me that it is OK to be Black and quirky. Previously, I have told you about the two Black girls that I have in my Sunday School class. One of the girls is my cousin, and she is a quirky one too. She has this silly sense of humor, likes superhero movies, reads books, and plays the piano. One day, I went out with her and her mom, and I asked her mom, “How did G get to be so quirky?” Her mom smiled, and I think she said that she didn’t know how. When I think about G’s quirkiness, I think about myself. For a long time, I was afraid to be quirky, because I wanted to be “Black” enough. Whatever being “Black” enough was, I was aspiring to be it. It was almost like I had an imaginary scale in my head and when I reached a certain number, I was truly “Black.” I’m much wiser, and I know that my Blackness is enough. But I want G, my other Sunday School student, JS, and other Black girls to know that they do not have to pretend to be a version of themselves. I realize that the reality is that G, J, and other Black girls will grow up with the dilemma to be who they really are or to be something false. But my hope is when they face this dilemma that they choose to be who they really are. Without being too melodramatic, I believe these lyrics are a description of my California vacation. The words “boy” and “man” have to be replaced with “girl” and “woman” in order to describe my particular experience. Before I went to California, I had never gone on a real airplane ride. The only time I had ever been on a plane was when I went skydiving two years ago. It was such a contradiction that I had only gone on a plane to jump out of it, but to never experience a full airplane trip. I was not avoiding an airplane trip out of fear. I could not have had that fear if I had the nerve to go skydiving. I believe one of the reasons I may have never gone on a airplane trip was that I felt that I had no opportunity to do so. I had a lot of excuses for not traveling which included lack of funds and my sister’s illness. I believe that my sister’s illness had a huge impact on how far I wanted to be away from home. I felt this urgency to be there for my sister, parents, and other siblings in case something happened. As you know, something did happen. My sister passed away, which not only gave her freedom and rest, but it gave my family our freedom too. For any other person, a trip to California would just be a trip or a fun vacation. For me, it was a fun and beautiful trip, but it was also the freedom to take care of me. I am very blessed in that I have God, family, shelter, church and so many other things. But one of the things that I have desired to do is to travel without any worries. Finally, I feel that God allowed that desire to happen. In California, my travel buddy, JH, and I went to San Diego Zoo and watched the animals as though we were little children. We also walked around a beach with more rocks than sand and enjoyed the sight of the splashing waves. We spent time with my nephew and his wife and they took us sightseeing to several spots in San Diego. 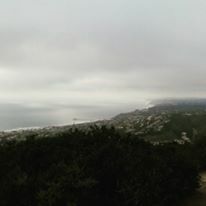 One of my favorite spots was Mount Soledad, which gave us a view of the entire city. On our last full day, JH and I strolled through the Gaslamp Quarter, a section of the city that was filled with eateries, tourist shops, and people. We moved past the Quarter near the Convention Center. Behind the Center, we were greeted by the ocean. We saw folks selling their homemade goods or services. JH and I met a man who was charging money for folks to take a picture with his parrot. I have to give this man his kudos for his hustle, as he is making that paper. After JH took a picture with the parrot (I was all set with the bird picture. Lol! ), we sat by the ocean and chatted about California. We both love New England as it is the place we were raised in, but we noticed the differences between California and New England. California seemed a lot more chill and laidback than New England. I do not know if it was because we were in chill vacation mode, but we noticed that even the people in California seemed less hurried. We became saddened that vacation would be ending, and that we would have to leave California the next day. While I was on the plane back home, I listened to music on my iPod, and I wondered if I could ever live in a California, a place that was a 6 hour plane ride from my family and friends. Could I deal with not being able to hop in a car to visit a family member who was in the same city as me? Could I deal with not being able to just call a friend and ask her if she could hang out in a few hours? I was not sure of the answers, but I knew that I would have to think and pray to God more about my future. A few days after my return to New England, I began to miss the palm trees, warm weather, and ocean views of California. I figured that I was just having vacation withdrawal. No one ever wants to come off of vacation. But even an entire week later, I still think about California as an ocean flavored dream, as a place that I want to visit again. Maybe even as a place that I would want to live in. 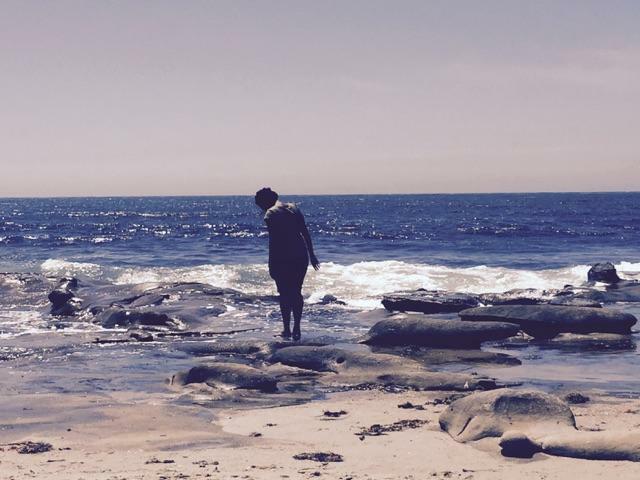 The California vacation made me wonder about my own desires and dreams. It awakened this battle between what I want for myself and following God’s will. Between sitting around and dreaming and actually taking action. I have a huge dream to move out of New England, but I do not know what place is the best place to go. In the future, I could end up in California or somewhere else. But I also know that I have to follow God’s desires for me. It can be so challenging to surrender your dreams and to not know what is going to happen. It feels out of control to not know what’s going on. Yet, it seems that God wants me to be in a place where I do not have control and where He has all of the control. I know that God sees the desires in my heart, and if those desires are aligned to His will, then those desires will happen. For now, I carry this ocean flavored dream of taking another trip to California.